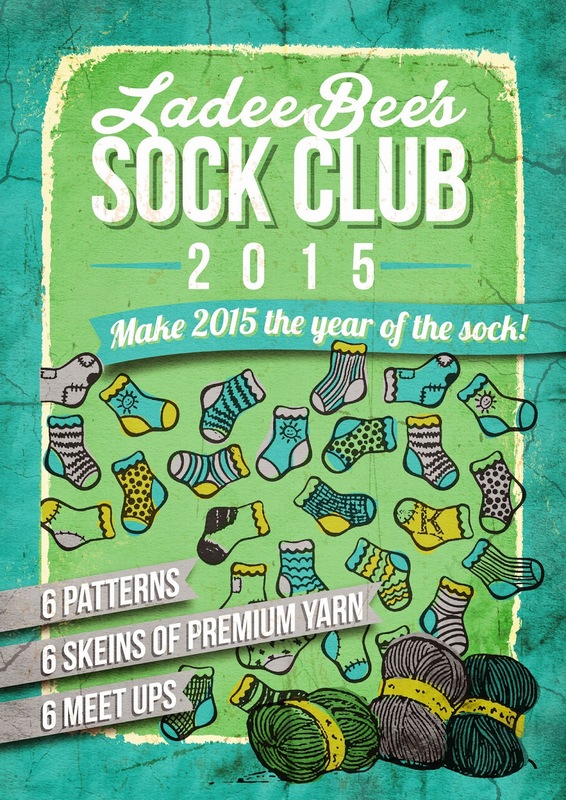 Make 2015 the year of the sock! Join LadeeBee's sock club today and look forward to a year of surprise sock kits and meet ups with other sock knitters. Challenge yourself to knit 6 pairs of uniquely designed socks in a year. You can sign up for 6 months (3 sock kits + 3 meet-ups) or 12 months (6 sock kits + 6 meet ups). There are 8 weeks between kit pick up and our meet ups to give you plenty of time to work on your pair of socks. When you attend the meet-up we will give you the next kit, or pick up on the first weekend of the following month. I'll be delivering email reminders to club members that will include tips for knitting your sock kit. You can join our event on Facebook. or securely check out below.